(left to right) Cllr Carolyn Caddick and Cllr Roddy Balfour at the launch with Jo Lenihan (Armed Forces Covenant Project Officer) and Ward Manager Dot Ferguson. A new website was launched today (Thursday 24 January 2019) in Highland at Highland Council Council’s headquarters which aims to support members of the Armed Forces community in Moray and Highland. 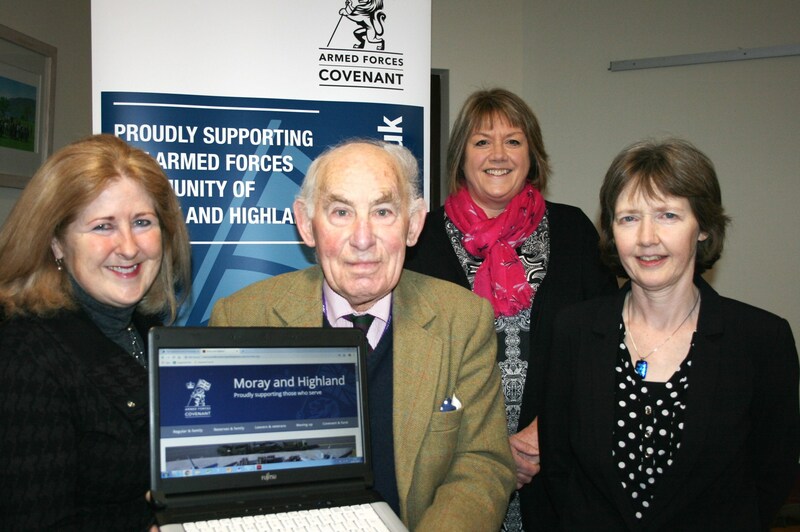 Convener of The Highland Council, Cllr Bill Lobban welcomed the launch of the website www.armedforcesmorayandhighland.co.uk which was created by Highland and Moray Councils, with a generous award from the Armed Forces Covenant Fund Trust. Information provided on the website includes local services and the assistance available to the armed forces community including schools and learning, employment and training, money and financial advice, health and wellbeing and housing.